Greetings, Stampers! I hope you are all doing awesome on this terrific Tuesday! 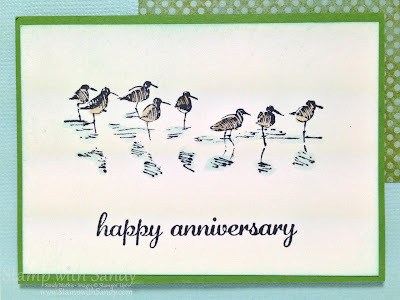 I have another new stamp set to share with you today called Wetlands. 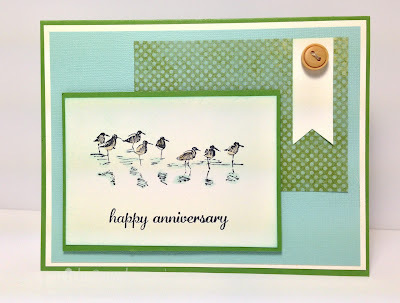 This was absolutely the first stamp set on my must-have list from the new Stampin' Up catalog. Have I said that about any other stamp sets? I don't think so, not yet anyway! So, I was pedaling along on my bike the other day on my way to the beach. I was daydreaming and thinking about what paper project I wanted to do next, and what new stamp set I wanted to try out. 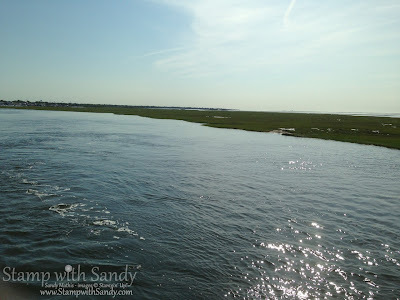 On the way to Jones Beach you have to cross three bridges (great for your quads!) and go through some wetland areas. This was one of them, and though I was too far away with my camera phone to get a good picture, there are some birdies wading on the shoreline. 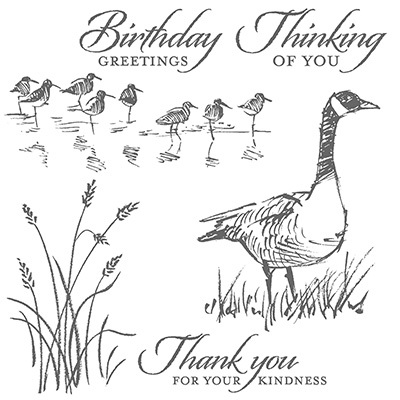 I thought this was great inspiration for a card. I also remembered that my anniversary was this week and that I hadn't made a card for hubby yet. Yikes! So this project is for him. 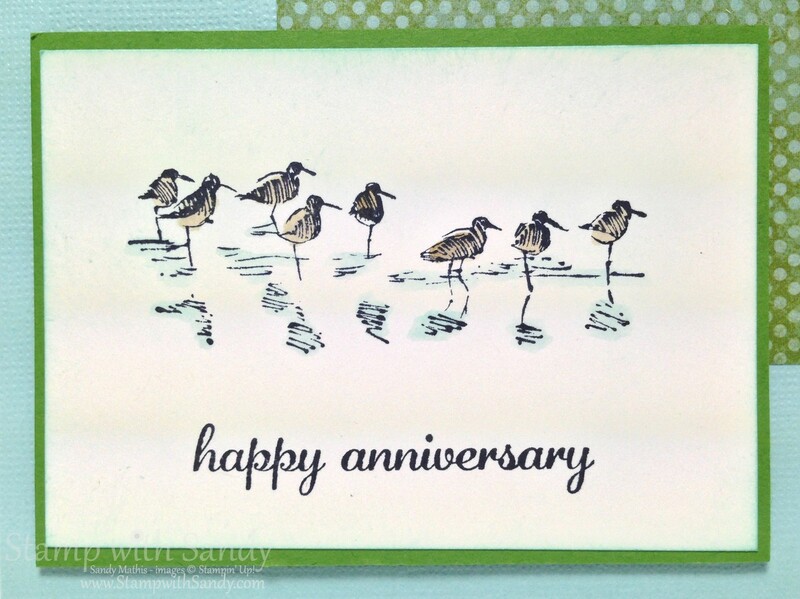 Hubby loves the beach and he prefers clean and simple cards, and I think he'll like this. I chose a beach-y color combination of Gumball Green and Pool Party, inspired by the Epic Day DSP. The images on the focal panel were stamped in Black Stazon Ink, then colored every so slightly with ink pads and an Aqua Painter. The edges were sponged with more Pool Party. Love this card! Hey, my anniversary is this week, too! which day? Mine is tomorrow...the 13th. Which reminds me...I need a card! Gorgeous card! Another set I bypassed in the catalog....and you saw wonderful possibilities with it! These little birds look REAL!